Award Winning Designers, Builders, and Rebuilders of Fine Homes. The Fred Parker Company is a residential design and building firm offering timeless architectural design and the most current building technology. We partner with our clients and, through the creative talents of our building and design team, work to insure their home is everything they envision. Our goal is to meet or exceed our client’s expectations and provide a home that fits their needs, personality, and lifestyle. We are honored to have built and remodeled some of the most beautiful homes in the Greater Fort Worth Area for over 60 years. Creating beautiful designs, serving the needs of our clients, attention to detail, and impeccable workmanship will always be our highest objectives. Our team of designers, craftsmen, suppliers, committed management, and support staff work to create the ultimate project while making it an enjoyable experience for our clients. To offer timeless design, the highest quality in homebuilding, renovation, and rebuilding while maintaining our values based on experience, teamwork and trust. To meet or exceed our client’s expectations, while creating longstanding relationships through understanding, offering extraordinary value, and outstanding customer service. To continue to be recognized for high quality standards regardless of the size or complexity of the project. To work to obtain appreciation from our clients for our quality homes difference and the assurance that their home has been built to stand the test of time. When I was looking to do a complete remodel of our lake house, I scoured the reviews on Houzz before choosing three companies to interview. Since the lake house is an hour away from our main home, I knew I wanted a design-build firm to handle all of the details. The combination of outstanding reviews, Houzz awards, and professional affiliations made me confident that Fred Parker Company's reputation was solid. It was my interview with Ron and Lila Parker that made me choose them over the other two contenders. Ron's knowledge of design and construction was evident as he calmly walked through and addressed my wish list of things to update our 1950s era lake home. It had been added on to over the years and was currently stuck in the 1980s. We wanted to open it up to capture the lake views to the best advantage, as well as to accommodate our growing family, including adult children and two young grandchildren. Ron took the time to talk about all of our ideas, explaining creative ways to do things, and also letting me know what was worth doing and what was not. He never tried to suggest a more expensive way of doing things, just the "right" way to do things. Doing things the right way turned out to be the catch-word of our remodel. Working with Ron lifted the burden of the project from my shoulders. 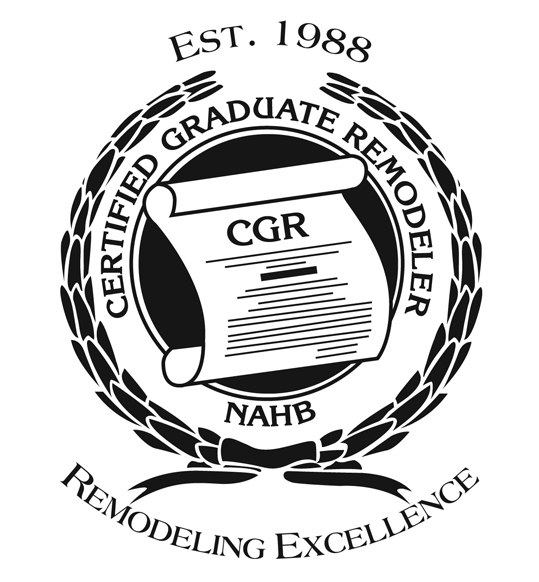 Having done many other remodels in various locations, I was not a novice to the process. I can honestly say that this was the most pleasant remodel experience I have ever had. Before any work started, Ron had an extraordinarily detailed written plan and design plan in place. There was a foreman on-site every step of the way, and any time I had a question, Ron always answered the phone and thoughtfully answered every question or concern that I had. Ron's payment structure was completely professional also. I must mention Lila Parker as well. She was instrumental in helping choose all design elements. She and Ron work together as a team with the best interest of the client at the forefront of every decision. Lila worked tirelessly helping me choose colors, paint, tile, flooring, fixtures, window coverings, and furniture. We have been enjoying our remodeled lake home with our extended family for the last three months. We can't help grinning at the results every time we open the door. We also have new friends in Ron and Lila. I highly recommend them for peace of mind in achieving impeccable results that exceeded our expectations. Fred Parker and his son Ron Parker are currently building my new home, and the quality and professionalism is outstanding. They are extremely thorough in planning and anticipating situations and formulating solutions to prevent unexpected problems. They use only high quality and reputable subcontractors. Their goal is to build a home that will stand the test of time. Fred Parker has been building homes for 50 + years, and recently received a Lifetime Achievement Award by the Greater Fort Worth Builders Association for his contribution to building issues in Fort Worth. Update Dec 2015: I have been living in my beautiful home now for a year, and the follow up service by Fred Parker has been outstanding. Fred and his son Ron treat my home like it their prized possession. They take so much pride in the quality of the work, their service, and their client relationships. I highly recommend them to anyone considering building or remodeling. Fred Parker and his son Ron Parker are currently building my new home, and the quality and professionalism is outstanding. They are extremely thorough in planning and anticipating situations and formulating solutions to prevent unexpected problems. They use only high quality and reputable subcontractors. Their goal is to build a home that will stand the test of time. 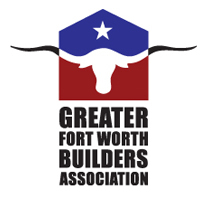 Fred Parker has been building homes for 50 + years, and recently received a Lifetime Achievement Award by the Greater Fort Worth Builders Association for his contribution to building issues in Fort Worth. Update Dec 2015: I have been living in my beautiful home now for a year, and the follow up service by Fred Parker has been outstanding. Fred and his son Ron treat my home like it their prized possession. They take so much pride in the quality of the work, their service, and their client relationships. I highly recommend them to anyone considering building or remodeling. We hired the Fred Parker Company to perform an extensive remodeling of our home that included the addition of almost 1,500 square feet. Ron Parker was the GC on our project and has done an excellent job. He was always on time, always accessible and proved to be very detail oriented. Furthermore, he was on budget and the quality of the work is impressive. His wife, Lila, was very helpful as well in assisting in all of the interior design aspects of our remodel. We have been very happy with his work and would definitely recommend them. After purchasing a home in the summer of 2015, I decided to do a complete renovation. There really wasn't much that I wanted to change about the exterior of the home but was looking update the interior. I was referred to Ron Parker of Fred Parker Company, Inc. by my realtor. Soon after that we began working on plans for the inside of the home. I had been warned by others of the horrors of taking on such a project! Luckily for me, I had a different experience. Ron and the rest of the crew at Fred Parker Co., Inc. were great to work with. They were extremely professional and worked well to alleviate any concerns that I had along the way. Of course, as the project went on, I continued to add to the list things that I wanted done. I had brought in a decorator and even though she wasn't affiliated with Fred Parker Co., Inc., Ron worked very well with her and went out of his way to communicate with her to make sure that everyone was on the same page. After all was said and done, we had completely renovated the interior of the home and I couldn't be happier with the work that they accomplished. Along with the work on the interior of the home, our project turned into a major landscaping overhaul as well. My project is just about wrapped up now and I couldn't be happier with the work that was done on the home as well as how the landscaping project turned out. Ron, along with the rest of the crew exceeded my expectations. Ron and Lila Parker made our remodeling project a great experience. They were very patient and guided us through the whole project from start to finish. Great communication on costs, contractor schedules and managing un- foreseen changes; were excellent. Work was very high quality and professional. We love our renovations and look forward to working with them again on our next project. Fred Parker Company lived up to their reputation and we highly recommend them for your future home projects! We found Fred Parker Company, Inc. on Houzz and hired them to create a beautiful outdoor living area. They were very professional from start to finish. We love our new outdoor patio! Ron Parker, Master Builder, designed the plan and kept the project on budget and on schedule. The crews showed up on time, worked hard and did an excellent job. The patio looks like it was built with the house. As construction goes, we had some adjustments to make but those were handled quickly. They were easy to work with and one of the best. Lila Parker, Designer, helped to select paint colors, stones, pattern concrete, ceiling fan, coach light, furniture, plants and décor. She provided great ideas on materials and the overall design. The design service was worth it! We found Fred Parker Company, Inc. on Houzz and hired them to create a beautiful outdoor living area. They were very professional from start to finish. We love our new outdoor patio! Ron Parker, Master Builder, designed the plan and kept the project on budget and on schedule. The crews showed up on time, worked hard and did an excellent job. The patio looks like it was built with the house. As construction goes, we had some adjustments to make but those were handled quickly. They were easy to work with and one of the best. Lila Parker, Designer, helped to select paint colors, stones, pattern concrete, ceiling fan, coach light, furniture, plants and décor. She provided great ideas on materials and the overall design. The design service was worth it! My wife and I have enjoyed working together with Ron, Lila, Fred and the Fred Parker Company building and design team for over 15 years. We had always been familiar with the reputation of this fine company through seeing their signs in the yards of established neighborhoods, as well as the numerous articles we have seen in different publications. Our first design build project was the building of our beautiful European style home in Mansfield, Texas. With gated motor court and a stunning view of the golf course and lake, this home has everything we have ever dreamed of. They were excellent at presenting the latest in energy and other technology options and listened to our needs to ensure our home had everything we expected. My wife even had a specific request to make a room she calls the "Billy Graham Room" where she creates, packages and sends Christmas gifts for needy kids associated with the Billy Graham Ministry. They designed an area specifically for this purpose as well as a space for my tinkering of old antiques that I like to collect. Our second building project was the complete renovation and remodeling of our life-time home. This was a very special property to our family as this was the home we lived most of our adult life and raised our kids. Ron Parker took a special interest in redesigning and renovating this home to utilize the beautiful and wooded oversized lot that overlooked the golf course while providing every modern convenience of our new home. The grounds were beautifully landscaped and the pool was rebuilt to allow for an incredible view from inside the home while also providing an adequate sitting area around the pool. As a CEO of a large corporation, quality is something I take very seriously, and the Fred Parker Company's workmanship is exceptional. We have followed their success for many years and have observed that their homes hold a higher value in the market place. 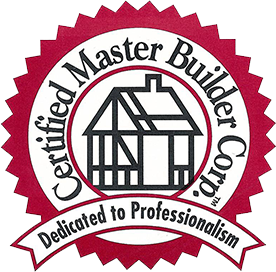 In many cases, the Fred Parker Company is listed as the builder of the home in real estate listings. We are firm believers in founder Fred Parker's philosophy to allow them to help maintain and preserve the value and integrity of the home. Their customer service team lead by Paul Diseker is outstanding and routinely helps maintain my property. My wife and I are very proud to be life-long friends and clients fo Ron, Lila, and Fred and the Fred Parker Company team. 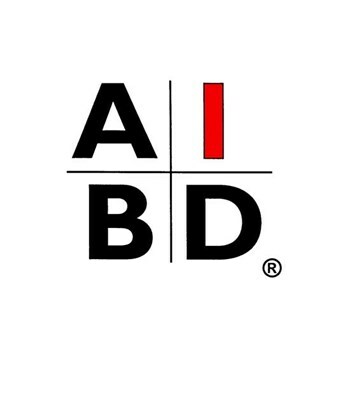 Rest assured, they are who we call for any remodeling, building, or service needs we may have. Fred Parker and associates designed and built a beautiful home in 2000 and they honored all warranties and were very helpful during the building process. Since then I have used them twice to help with other projects at the residence and they produced the same professional results. They have very qualified and dedicated sub contractors who are easy to work and very professional. I would recommend them for any project large or small. Elegant, Classical, Timeless, Superb Craftsmanship will describe your home when built by the experts of the Fred Parker Company.